3. 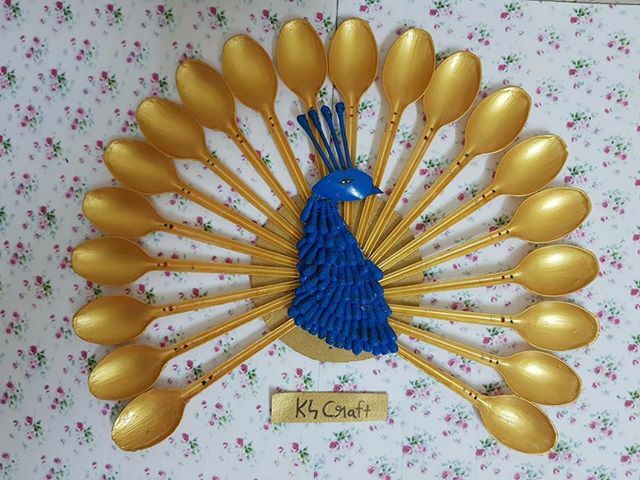 Cut the spoons to make feather of peacock and apply golden colour to it. 5. Apply blue acrylic colour on peacock shape cardboard. 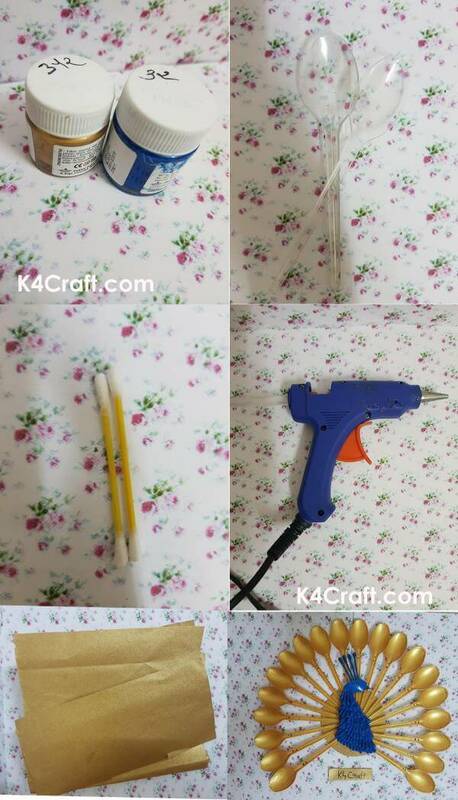 And finally your recycle peacock is ready to increase beauty of your house wall .